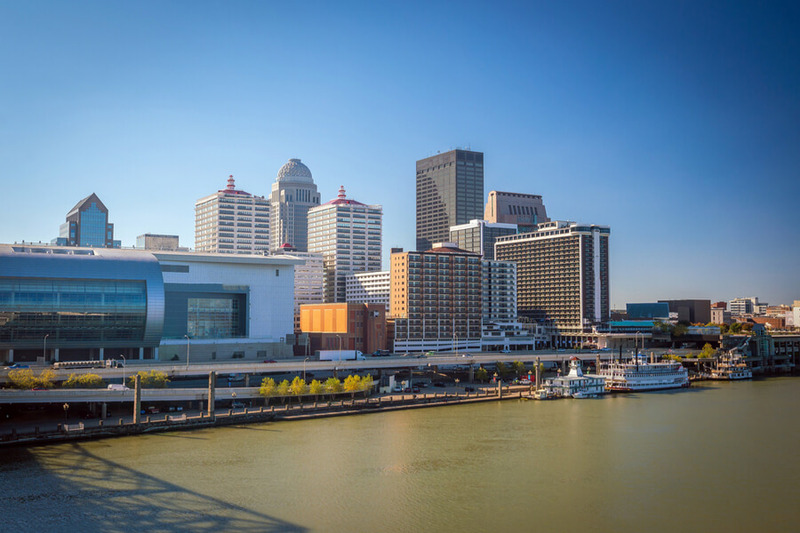 The Brook Hospitals formerly known as Kentucky Military Institute (KMI) is located in Louisville, Kentucky’s largest city. The Hospitals, founded more than 30 years ago, are divided into the KMI and Dupont facilities. Both facilities are known to offer inpatient and outpatient treatment, providing help for individuals (children, adolescents, adults, and seniors) who may be struggling with mental health and substance abuse problems. The extremely wide age range of patients the facilities are able to care for makes it very possible for every individuals’ problem to be assessed, diagnosed and treated—programs are designed for seniors who may be suffering from addiction, children battling learning disabilities, autism, and a host of other disorders. The hospitals offer various levels of care based on individual needs which include psychiatric inpatient, partial hospitalization, intensive outpatient treatment, and an aftercare program. Most of these forms of treatment are evidence-based, effective options and medically monitored. The facilities offer free patient assessment and medication management strategy for those struggling with co-occurring disorders. Medical detoxification is also available at the facilities and may be recommended for those who need it. Additionally, programs concerning anger management, postpartum disorders, coping skills, and co-dependency are offered on-site if necessary. The hospitals also offer certified language interpreters and comply with non-discriminatory policies. The Brook Hospital, KMI facility requires admitted patients to bring clothing for a week. The hospital is capable of housing up to 94 occupants, each individual having their own bed but sharing a room with one other person. 56 out of the 94 beds available in the facility are reserved for adult patients. The facility is accessible to everyone, although patients are divided into rooms by gender. The hospital is divided into halls which are age-specific and usually allows for adolescents and adults to live and communicate with their peers. There are several hallways, each having various rooms with single bathrooms and double beds and dressers. Residents have access to a large living area with couches and games in which they can relax during their leisure. The facility also has a game room with work-out gear, ping pong, and pool tables. Residents may also engage in basketball and rock climbing. Meals provided at the facility are freshly prepared and served in the facility’s cafeteria. The menu also includes pizza, sandwiches, salads, and many more comfort foods. Laundry services are available on site and residents are to bring no more than $50 on admission. Items including medications, hygiene, and essential products and journals are also allowed by the hospital. In this form of treatment, a patient is assessed by professionals and a distinct treatment plan is designed to suit their very specific medical, emotional, and psychiatric needs. Teenagers and adults may utilize this treatment method. In this form of treatment, individuals can freely access AA meetings, co-dependency support groups, and NA meetings. Brook Hospital costs approximately $3000 for a 30-day inpatient treatment at the facility, $125 for an outpatient group session and $900 for a 30-day outpatient treatment of dual diagnosis. Medicare insurance plans are accepted for payment but it varies depending on the treatment program. The hospital does not offer financial aid as the payment for treatments is the sole responsibility of the client or the client’s family. Admitting and Administrative Counselors are available to provide information about payments and insurance coverage. The price of the treatment program is also highly dependent on the length of stay and the type of illness being treated. The hospital has the Gold Seal of Approval from The Joint Commission by complying with the standard of healthcare that is accepted. The hospital does not discriminate against gender, race or sexual orientation. The hospital provides aids such as Sign Language Interpreters and different formats for passing information and messages such as in audio or large print format for patients with a disability. They also provide Language Interpreters for patients who don’t understand English or speak the language properly. Appointments can be scheduled and no cost and same day visitations can easily be scheduled but this is dependent on when the appointment is made. Visitors are allowed into the facility for about 1 hour to 2 hours daily from Wednesday to Sunday with exceptions based on the program (Adult, Adolescent, and Child). Paul went to Kentucky University where he got his degree. He has been in the Behavioral health Sector for almost 20 years, gaining experience by holding different positions such as Marketing and Business Development in multiple organizations like Wekiva Springs Center and River Point Behavioral Health. He has been on different reputable committees such as the Healthy Jacksonville Foundation and the Mental Health Association in Florida. Timothy went to Thomas Moore College where he acquired his undergraduate degree and The University of Louisville to complete medical school and gain a postgraduate degree. He is a member of the Kentucky Psychiatric Association where he currently is a part of the budget and executive committee. He has been in the field of Mental Health and Addiction for the past 25 years. He certified by the board of General Psychiatry and Neurology. Ronald went to Kentucky University where he gained his undergraduate degree and The University of Louisville to complete medical school and gain a postgraduate degree. He is certified by the Board in both Psychiatry and Neurology and also Addiction Medicine. He has had his position in Brook Hospital for over 8 years and has over 12 years of experience in the field of addiction and mental health.